This article is a guide that summarizes everything that I have learned living on the Chinese capital over these years. Visa: To travel to China, you need a visa that you need to get in your place of residence through a consulate or Chinese Visa Application Service Center (CVASC), even though some exceptions exist. In the case of Beijing, you can get a 6-day (144-hour) visa exemption if you have a plane ticket entering and leaving from Beijing (without layovers within China and with a different origin and destination). However, note that if you apply for the exemption, you can’t leave the Province. In addition, in some places you can get a Chinese visa without being a resident, such as Hong Kong. Travel insurance: Even though it’s not compulsory to have a travel insurance for going to China, it is very recommendable. In Asia, medical assistance is private and relatively expensive. In China in particular, even though doctors’ visits at public hospitals are relatively cheap, medical treatments, analyses and drugs are quite expensive. In addition, in public hospitals, the staff will only speak Chinese. If you don’t want any risks in case you need medical assistance, definitely investing a bit of money in a good travel insurance policy will be your best option. Click here to read our complete guide to get a travel insurance for China. Medicines: I usually recommend that people traveling to China and other countries in Asia bring a small first aid kit with a few typical medicines, including antibiotics, anti-inflammatories and antidiuretics, among others. In China, many drugs are hard to get at pharmacies (a lot of drugs are only supplied at hospitals), are very expensive and sometimes are counterfeit. A VPN: As you probably already know, in China, many Western websites and applications can’t be accessed, including Google, Gmail, Google Play, Facebook, Whatsapp and Twitter, among many others. Nonetheless, there is a system called a virtual private network or VPN that lets you get around the Great Firewall of China and access the Internet without restrictions. Many companies offer this service, but you have to make sure that they work in China. It’s also important to download the VPN software before traveling, as the majority of these companies’ websites are also blocked in China. Dictionary: In China, people don’t usually speak English (only in very touristy areas or business centers), because of which it can be very useful to have a dictionary to help with basic communication. There are multiple Chinese-English or Chinese-Spanish dictionary apps that work without an Internet connection. I recommend Pleco (iOS) and Hanping. Accommodation: To get a visa, you will have to show a booking for accommodations for a part or all of your visit to the country. There are numerous websites where you can book accommodations, but it’s important to know that registering with the local police is a requirement. Only hotels (or hostels) can do this registration for you. Therefore, websites like AirBnB or similar options are not a good idea for China, as they can result in complications, like having to spend hours at the local police station to register. 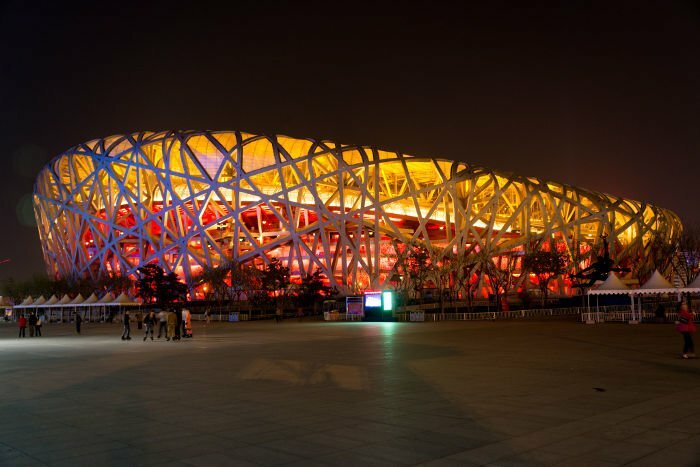 Click here to read our complete guide on how to get an accomodation in Beijing. Despite the language and the cultural difference, traveling around Chinese cities is not so difficult. Thus, as long as you already have some travel experience, you shall be fine on your own. However, if you feel overwhelmed, you can always book a tour guide. If you’re interested on this solution, click here to read our recommendations on how to find an honest travel agency for your Beijing (or China) tour. Beijing has a modern and efficient public transportation system. Below I go over the different ways of getting around the city. Beijing’s subway system is modern, efficient and inexpensive, which makes it the best way to move around the city. The price of a ticket depends on the distance traveled: 3 CNY for the first 6 km, 4 CNY for 6 to 12 km, 5 CNY for 12 to 22 km, 6 CNY for 22 to 32 km and from then on 2 CNY extra are charged per additional 20 km. It’s a good idea to get a reloadable card similar to London’s Oyster Card. This card is called Yikatong (一卡通) and costs 20 CNY (refundable). The card can be used to pay on the subway, buses and even taxis. In general, 50-100 Yuan will be enough for your entire visit to the city. The bus is a very commonly used transportation method in Beijing. It is usually cheaper and lets you get to areas of the city where there aren’t yet subway lines. Even though I personally like to take the bus, I don’t recommend that people that can’t read Chinese do it, as it’s very rare for there to be any signs in English or pinyin (the phonetic transcription of Chinese characters), as is the case of the subway. Taxis in Beijing are relatively cheap and there is a large number of them. The price of a taxi is 13 CNY for the first 3 km and 2.3 CNY for each additional kilometer. To get an idea, a trip from the airport to downtown (between an hour and an hour and a half) doesn’t tend to be more than 200 CNY (approximately 25 euros). If you decide to take a taxi, always be prepared with the place where you want to go written in Chinese characters. Communicating with Beijing taxi drivers can be quite difficult. Taxis are not allowed to stop in certain parts of the city, especially downtown, such as around the Forbidden City and Tiananmen Square. If you decide to take a taxi after visiting a tourist attraction, it’s very possible that you will have to walk for a long time to find an alleyway where they are allowed to stop. In Beijing, there is a very popular app calleddidi that is used for calling taxis. If you don’t have the app (which is somewhat difficult for a tourist), it can be hard to find a taxi at peak hours or during the night when the subway is closed. If you want to visit other cities from Beijing, the train is definitely the most recommendable form of transportation. China is the country with the most kilometers of high-speed rail in the world, and it also has a very extensive railway transportation network, which in general is modern and quite comfortable. The most important thing to know is that train tickets have to be bought in advance for the majority of destinations (between one and two weeks before), and that there exist at least four main train stations in Beijing. It’s very important that you check exactly which station your train leaves from and arrive at least 30 minutes in advance. The best time to travel to Beijing is without a doubt the months of September and October, when temperatures are usually around 25 degrees and rain is not common. Winters are dry and very cold, with lows of below 0 degrees, especially during December and January. Summers are excessively hot and it rains a lot, especially in July and August. Springtime is quite nice, but you will have to face the rain and sandstorms that quite frequently hit the capital. In any event, if you’re not afraid of bad weather, each season of the year offers a different view of the city that’s worth experiencing. Last of all, especially avoid visiting the city during Chinese national vacations, and in particular Chinese New Year (the end of January or beginning of February) and the first week of October (National Day). At these times, the city is filled with Chinese tourists and visiting tourist attractions becomes torture. Keep in mind that there are limitless places to visit in Beijing. Here I am only going to list and briefly describe the most famous places of interest, in other words, the places that you can reasonably visit in 4 or 5 days. This former imperial palace is located in the middle of downtown Beijing. It was built approximately 600 years ago, and today has been turned into a museum containing 980 buildings, many of which are open to tourists. This is an enormous square located just in front of the Forbidden City that is particularly famous in the West for the student protests of 1992. It is the home to the Monument to the People’s Heroes, the Ten Great Buildings, the National Museum of China, the Mausoleum of Mao Zedong and the National Grand Theater. Located just behind the Forbidden City, Coal Hill is the best place to take a photo of the Forbidden City, as from it, you can enjoy views of the entire imperial palace. The Great Wall is often likened to a giant dragon that extends across approximately 8,850 km in northern China. The dragon’s head is located near Beijing and its tail is located in the Gansu province along the Silk Road. Between one and two hours by car to the north of Beijing are numerous sections of the Great Wall of China. The most famous (and therefore the most visited) sections are Badaling, Mutianyu and Juyongguan. These tombs were built at the same time as the Forbidden City (around 1400) and are located approximately 40 km to the north of Beijing. Depending on the section of the Great Wall that you are going to visit, you can visit the tombs and the wall in the same day. Located in the Haidian or university district in the northeast of Beijing, the Summer Palace is Beijing’s most famous imperial garden. The buildings that compose it are all located on Longevity Hill, right in front of Kunming Lake. This is without a doubt one of my favorite places out of the palaces and temples that I have visited in China. 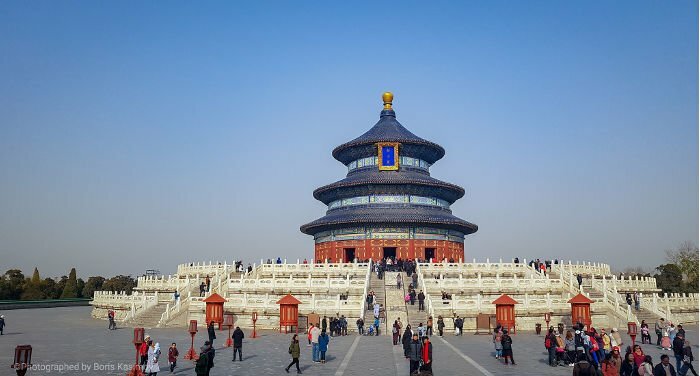 Located in southeastern Beijing, the Temple of Heaven is a Taoist temple built at the same time as the Forbidden City and the Ming Tombs. The main attraction of this temple is the fact that its architecture is completely different from the majority of the historical buildings that you can find in Beijing. In addition, the park surrounding the palace is impressive, and there, you will find many people playing sports, dancing or even practicing tai chi. Both of these temples are located in the northeastern corner of the second ring and are very close to one another (about fifteen minutes walking), which means that you can visit both of them on the same morning. The main interesting aspect is to see the contrast between Buddhist and Confucian temples. Liu Li Chang (antique alley), Beihai Park, Houhai Lake, Drum Tower (Gulou) and Bell Tower (Zhonglou), Beijing University, the neighborhoods of Wudaokou and Sanlitun (for the nightlife), Yashou in Sanlitun and the Silk Market in Guomao (if you feel like buying counterfeit stuff), the Olympic Stadium, the Opera, Dongzhimen, the zoo, the traditional theater and the 798 art district, among many other places. 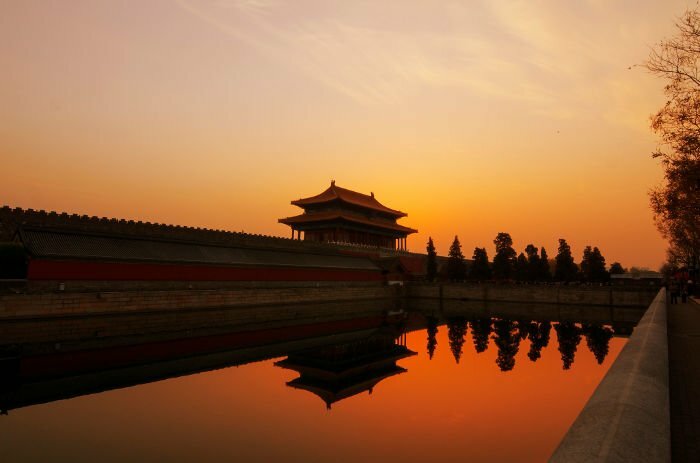 The majority of travelers that visit Beijing are stunned by how spectacular and magnificent its historical monuments are. However, Beijing unexpectedly hides a vibrant city that is permanently changing with a culture and style of life that you will fall in love with if you get to know it. In this section, I would like to suggest seven places and activities that usually go unnoticed by travelers, but which could give you a different perspective on the Chinese capital. In Beijing, urban pressure has destroyed many traditional neighborhoods with their narrow alleyways (hutong) and traditional courtyard-style residences (siheyuan). Despite the fact that over the past years, the government has become aware of the importance of maintaining historical neighborhoods, it has proceeded to remodel them to show a “prettier” version of old Beijing, destroying much of their charm. A clear example of this are the hutong in the immediate vicinity of Drum Tower (Gulou) and Lama Temple (Yonghegong), which are tourist attractions or residential areas for the city’s new elite. However, these areas still survive in the city (although I don’t know for how much longer), places where it seems that time has stopped and you can still experience a bit of what life in the city was like before it opened up to the world. One of my favorite areas to wander is to the southeast of Tiananmen Square. To get there, just take the subway to Qianmen (Line 2) and head in the opposite direction of Tiananmen Square by taking a street that has been completely restored with a tramway for tourists. Then, take the first street to your right (filled with people and souvenir shops), follow the street until the end, cross the street to enter the alleyway in front of it (still quite touristy), and follow the street, walking by a couple of hostels such as the Leo Hostel until there is no longer a trace of tourist stores. That’s where your trip begins! The majority of tourists that visit the Great Wall only visit the sections that have been restored, mainly Baladin and to a lesser extent Mutianyu. While these sections are impressive, sharing them with thousands of tourists is a bit of a disappointing experience. Personally, I have visited a large number of sections of the Great Wall of China and it continues to impress me every time that I go. Some of the sections referred to as the Wild Great Wall (the part that hasn’t been restored) are spectacular, practically deserted and their sections are relatively large. Because of this, they are ideal for excursions, including two-day excursions camping on the wall. Among all of the possible trips, one of the most recommended is 12 km starting in the rarely visited Jinshanling section and ending in Simatai, which is more popular, making it easier to find transportation back to Beijing there. If you want to experience the Wild Great Wall, you should keep in mind that the trip isn’t exactly easy. Some of the upward sections are practically vertical and rocks can fall out from under your feet. Because of this, it’s a good idea to hire a guide, because as you will practically be alone, if you have an accident, finding help won’t be easy. The former observatory isn’t on the list of the most famous tourist attractions, but it offers something that you can’t find elsewhere. The observatory is a small tower surrounded by a park where you will find displays of a series of enormous astronomical observation instruments made out of bronze which mix Western technology (learned from the Jesuits who arrived in the 17th century) with Chinese art. Admission only costs 10 Yuan, and in my opinion, it’s the perfect place to get away from the hordes of tourists populating the city. Address: 2, Dongbiaobei Hutong, Dongcheng District (北京市东城区, 东裱褙胡同2号) – Near subway line 1 and 2 at the Jianguomen stop. Even though this is quite popular among Chinese tourists, many foreigners don’t know that you can reach the Summer Palace by boat through the city’s ancient canals. You take the boat near the Beijing Zoo (subway line 4), it stops in Zizhuyuan Park (a very peaceful and pretty park) and in the end, leaves you at the south gate of the Summer Palace. Don’t expect a romantic trip with your husband or wife, as normally these are very large boats that don’t leave until they are completely full. Prepare to be pushed around to get on and for noisy tourists to take pictures of every inch of the canal. Nonetheless, I still believe that this is an interesting way to get to the Summer Palace if you don’t have a very packed day of visits. My recommendation is to first visit Zizhuyuan Park (near the National Library subway station) and then take the boat. Beijing’s nightlife offers many possibilities, including Sanlitun Village (popular among expats), the hutongs near Drum Tower (Gulou) (which is home to the city’s most alternative and bohemian vibe) or Houhai Lake (filled with bars with live music and Chinese tourists paying ridiculous prices for their drinks). Wudakou: Around Wudakou subway station (Line 13) is one of the only areas where bars and clubs are present, and it’s quite a popular area among both foreign and Chinese students because of its cheap prices. Weigongcun: Night markets are one of the most popular things to do among young Chinese people when they go out at night (especially in summer), and around universities they are particularly interesting. Near Weigongcun station (Line 4) on a street called Minzudaxuexilu (民族大学西路) you will find one of my favorite night markets. There, you will be able to sit on one of the hundreds of improvised patios to eat all sorts of street food, especially skewers, and drink cheap beer until the early hours of the morning. If you want, you can also buy clothing or thousands of other articles. Keep in mind that these night markets are not legal, and even though it isn’t very common, the police might visit the area and force people to take everything down. Great Leap Brewing: This brewery opened its doors in 2010 and is considered the first of its type in the city. Among its noteworthy beers are those that use typical Chinese ingredients, such as tieguanyin tea. It currently has three locations in the city. Jing A: Opened in 2012 by two Americans living in Beijing, Jin A combines local and international ingredients to create beers that combine the best of the American and Chinese beer-making traditions. Located in a restored antique courtyard, this is an excellent place to enjoy a good beer outside during the city’s hot summer. Arrow Factory: With two excellent locations in Beijing, this brewery founded by two expats offers a good selection of German, English and American-style craft beer. Xidan is the most popular area of Beijing for buying local and international brand clothing. It’s normally filled with people (especially on the weekend), and it’s not a good idea if you’re afraid of crowds. In Xidan you will find massive shopping malls, and on their first and upper floors, you will be able to find clothing at good prices. It is located at the Xidan subway station on lines 2 and 4. Zhonguancun is the electronics district, and there you will be able to find enormous buildings filled with all of the electronics you can imagine. Make sure that you bargain well for the price and check that what you are buying works, as scams are common. It is located at the Zhonguancun subway station on line 4. Panjiayuan is an outdoor antiques market with hundreds of vendors that’s worth a visit even if you don’t want to buy anything. Panjiayuan’s main attraction is that it will let you go on a trip through China’s recent history through its everyday objects. If you’re not an antiques expert, you should be careful with the products sold there, as they may be fake. Panjiayuan (潘家园旧货市场) is located at 18, Huawei Li (Panjiayuan Road), Chaoyang District. Beijing is an extremely safe city that doesn’t have many complications when it comes to visiting it. However, I would like to end this guide with a few important suggestions. Without a doubt, one of the greatest dangers faced by foreigners when visiting Beijing is its chaotic traffic. The rules of the road aren’t exactly the same in China as in Europe, And pedestrians tend to have it the worst. It’s very important that when crossing the street you thoroughly check to see whether cars or other vehicles are coming, even when the light is green. The most dangerous vehicles are electric scooters, which don’t respect any circulation rules, and even drive against the flow of the traffic. In Chinese cities there exist certain rules that will surely take you a while to understand. So, like they say, when in Rome, do as the Romans do. When you want to cross the street, do exactly what the locals do and you will be safe. 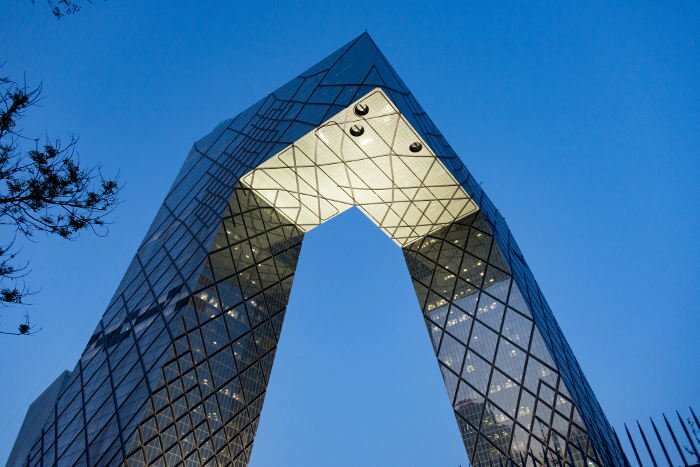 Over the past 20 years, Beijing has expanded spectacularly, growing from 10 million inhabitants in 2000 to more than 20 million inhabitants currently. Even though Beijing has an excellent public transportation system that is efficient and quickly expanding, it continues to be incapable of absorbing its population volume, which doesn’t cease to grow. What I mean is that whenever you can, it’s a good idea to avoid taking public transit at peak hours if you don’t want to be devoured by the masses of workers that have no other options. The worst hours tend to be from 7:30 AM to 9:00 AM and from 5:00 PM to 6:00 PM. Taking a taxi can be an even worse idea, as the traffic jams can be monumental. If you only have a few days to visit the city, I doubt that you want to spend two hours stuck in the horrible traffic of the Chinese capital. The tea scam: This is without a doubt the most “popular” scam in Beijing, and its main targets are male foreigners (although not exclusively). It normally happens in Tiananmen Square, when a couple of girls in their early 20s who are students come up to you saying that they want to practice their English with you. After a while, they will invite you to go out for tea, and if you accept, they will take you to a place that they choose, where they will order tea and something to eat. Then, after a pleasant conversation, the surprise will come when you ask for the bill. The teahouse, which is obviously in collusion with the girls, will charge whatever it thinks it can get, from a couple hundred euros to even thousands. There are many variants of this scam, such as showing you an art gallery, but it will always be a pair of “students” that will come up to you with the pretext of practicing English. Illegal taxis: Beijing has an enormous taxi fleet, but at certain times of day, such as at rush hour during the morning or after the subway closes, it can be hard to get available taxis downtown. Especially during the night, it’s possible that unofficial taxis will offer to drive you. While this normally isn’t dangerous, getting into these types of vehicles can be risky, especially for your wallet. Although I don’t advise it, if you don’t have any other options, make sure that you agree on a price before getting in. It’s also common to run into people offering taxis when you get to the airport or a train station. These aren’t legal taxes but rather private individuals that want to make a bit of extra money. At every train station and airport in China, there is a place to take taxis, and while you will normally have to wait in line, the trip tends to be cheaper and safer. Taximeter: As opposed to what happens in the majority of Asia, in Beijing, taxi drivers use a taximeter without you having to say anything. However, sometimes when leaving certain tourist areas (and especially the Silk Market), there are taxi drivers waiting for tourists to earn some extra money. If you see a taxi stopped at the exit to the Silk Market and it offers to take you, it’s very likely that it doesn’t want to use the taxi meter, but rather wants to charge you an excessive price, and will even ask for more money when you arrive at your destination. Shopping: You always have to be careful when buying certain products in Beijing, especially electronics or antiques, as sometimes counterfeit goods are sold, or even defective products. If you buy electronics, always ask for a new product, for them to open the box in front of you and for them to demonstrate that it works. Keep in mind that at counterfeit goods markets such as the Silk Market and Yashou, scams are also common. Often you discuss a good price for a product that looks like it’s good quality to you, but when you pay the salesperson, without you realizing, they switch it up for a worse-quality product. It’s important to check your purchase before leaving. Fake bills: In China, there are a huge number of false 100 Yuan bills in circulation (the largest denomination bill). As these are the largest denomination, it’s almost impossible that these will fall into your hands unless someone switches one for one of yours. Many small businesses and taxi drivers are sometimes scammed with a false bill, and they will try to get rid of it however possible. A foreigner is an easier target, so if you pay with a 100 Yuan bill, don’t let it out of your sight. Sometimes they will switch it up and will tell you that it’s fake. Be very careful at the Silk Market, as in my experience, it’s a hotbed of fake bills. Never exchange money there.